Robots and stairs have never been friends. Maybe now they’ll start talking more. 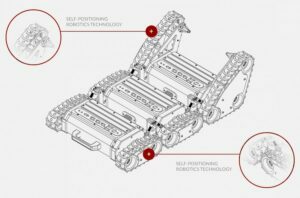 The folks at Transcend Robotics have released its ARTI3 Mobility Platform that enables mobile ground robots to ascend 3 steps in less than 8 seconds. The company says it Articulated Traction Control (ARTI) technology enables the quick climbing without the need for complex software and controls. 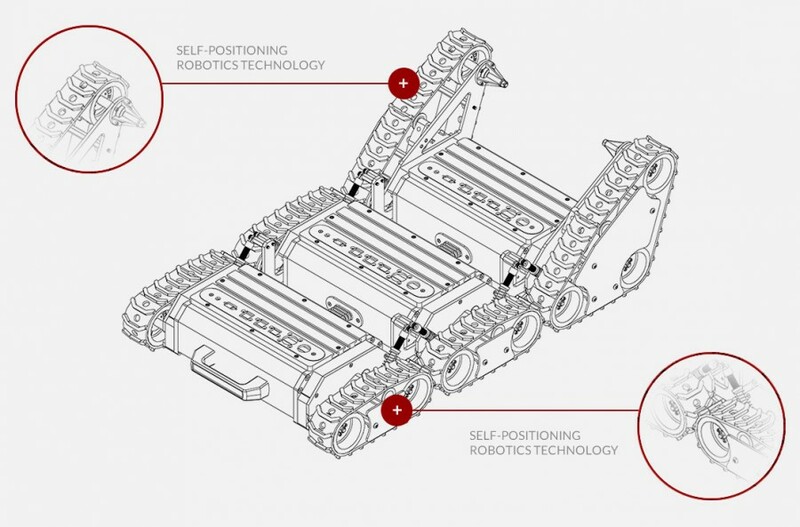 Using its custom treads, an ARTI robot simply needs to move forward to climb up and down steps and navigate other obstacles that have previously limited robotics capabilities. The key is ARTI3’s “upwards and downwards articulating joint between two or more motorized sections,” according to the company. This passive joint allows the ARTI platform to overcome obstacles without ﬂipping over, skilled human prepositioning or additional traversal software and electronics. The top speed is 2.8 MPH, payload is between 25-50lb, and the max angle for ascending is 89° and the max angle for descending is 30°. Transcend currently distributes the platform to a variety of industries, including telepresence, defense/security, 3D scanning, manufacturing, hospitality, mining, education, and research. ARTI3 Mobility Platform enables integrators and developers to mobilize a broad range of applications in the real world. Use cases and industries include 3D mapping, telepresence, construction management, mining, and manufacturing. This versatile platform enables integrators to quickly mobilize sensors, electronics, and software, in as little as 90 days. ARTI3 Vantage is an out-of-the-box solution for anyone to bring mobile robots into the environment they work. It comes equipped with pan-tilt-zoom (PTZ) cameras, 30-lb payload capacity, IP-54 for wet environments, zero-degree turn radius, and color LCD remote control. ARTI3 Vantage is ideal for human and dangerous environments, such as tactical operations and hazardous inspection. Depending on ARTI3’s use and environment, the technology can be scaled larger or smaller to satisfy a slew of applications.